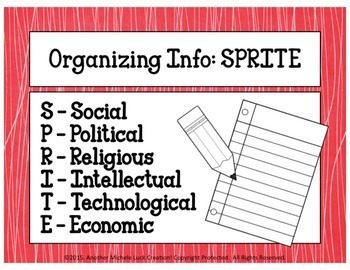 This is a set of 7 posters defining the SPRITE Graphic Organizer for the Social Studies classroom. 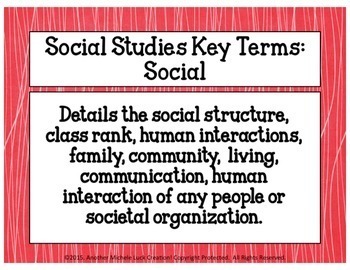 Includes posters on organizational tool, and definition of key terms. Use to decorate a classroom wall, a bulletin board or a hallway word wall. Keep on the walls ti help students remember key concepts for the Social Studies classroom and for skills study. See the preview file for the exact product! 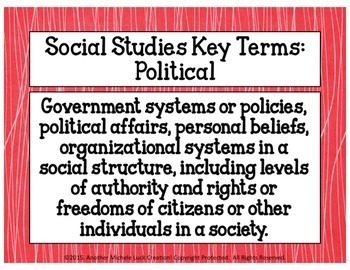 **This set is also included in my larger Social Studies Classroom Posters Set! See link below. 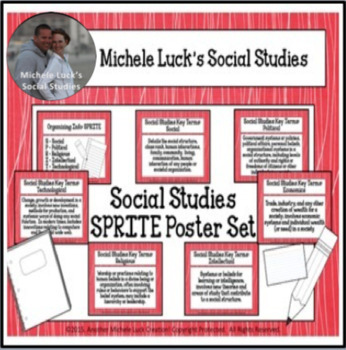 See my other Classroom Management and Social Studies Organizational Products! Primary Source Bundled Sets and Individual Products!